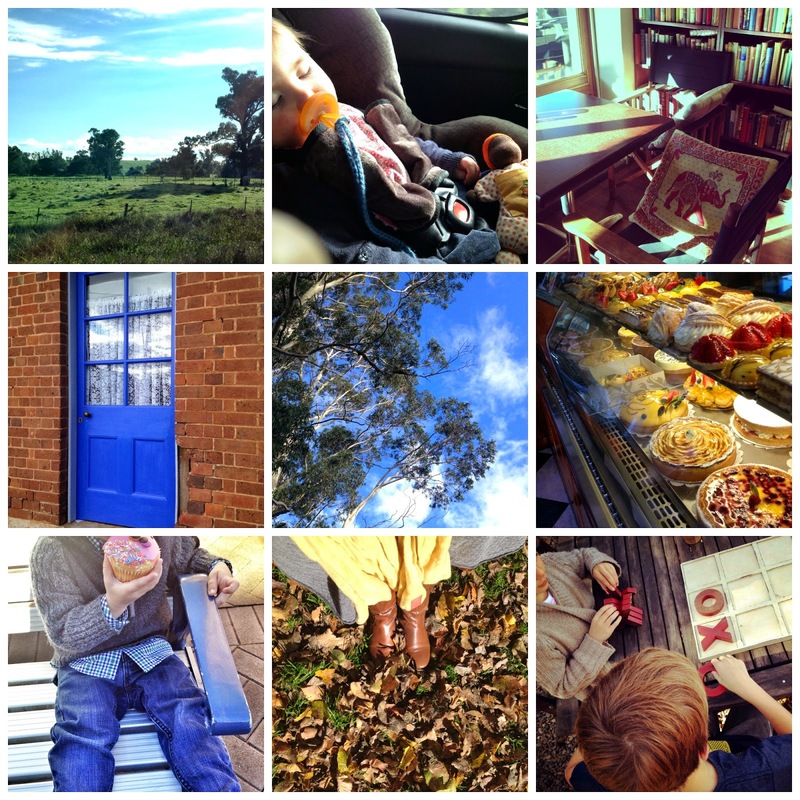 Last weekend, we packed up the family and went on a road trip to the Southern Highlands, New South Wales. My sister in law was having a 50th birthday lunch at Berrima so we decided to make a weekend of it. It was a little cosy for the 6 of us (plus luggage) in the car but I have to say I love a road trip! Not only did we get to explore new country but it was also a break from routine; a break from the laundry, the meal preparation and the everyday chores that take up such a huge part of our day. For the most part I am a home body and these everyday chores are comforting and satisfying for me, but I also love the little breaks to our daily routine where I can spend every minute of my time with my family; no interruptions, no keeping an eye on the time, nothing to be done other than be completely in the moment with them. This weekend will be a relaxing, staying at home affair. It's meant to be raining the whole weekend, so I'm thinking p.j days, crocheting, reading and lots of tea drinking!